At some point or another every Christian will experience a satanic attack-a willful, determined assault by the Devil for the purpose of harming our spirit, soul, or body. God wants Christians to be under His control, but the Enemy will do his best to destroy everything good in our lives. So the question is not how to avoid satanic attacks, but how to overcome them. Spiritual warfare is fought every day on the battlefield of your mind. The Adversary knows that if he can influence and direct your thinking, it's only a matter of time before you're vulnerable to the allure of sin. 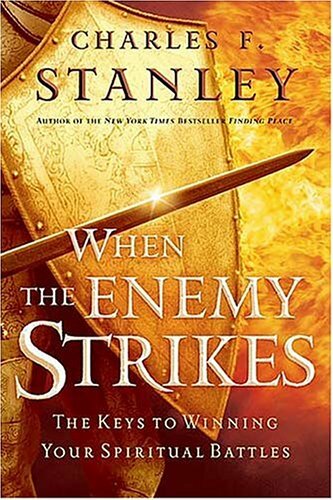 Dr. Stanley teaches that to stand against Satan's attacks, you must meditate upon biblical principles and take every thought captive by arming yourself with the sword of the spirit-God's Word. Dr. Charles Stanley is senior pastor of First Baptist Church in Atlanta. He is the founder and president of InTouch® Ministries. His bestselling books include The Source of My Strength and How to Listen to God.